Combine all the ingredients except coconut oil. Keep covered for 15 – 20 minutes. Add coconut oil and mix well. Yummy thakkali salad is ready! 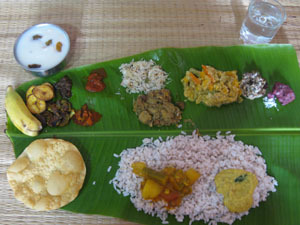 Serve with rice and other side-dishes. 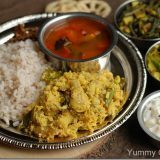 We had it with cabbage thoran, moru kachiyathu and fish curry.